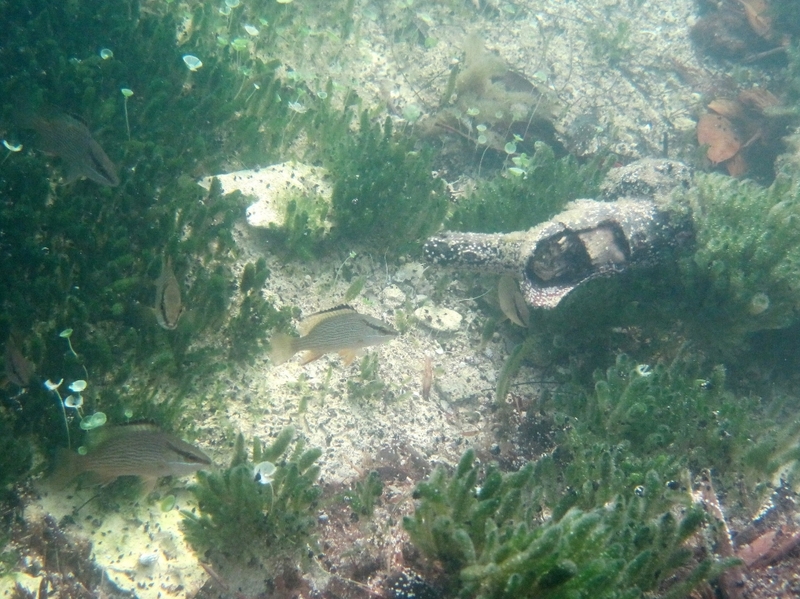 Mangrove tidal creeks are important nursery habitats for many fishery species in The Bahamas. Unfortunately, many tidal creeks have been degraded by the construction of roads across the creek. These roads fragment the creek into pieces, blocking the flow of water to the upstream side. As a result, there is often a build up of sediment, drastic changes in salinity, temperature and dissolved oxygen, and a barrier to the movement of fishes and other marine animals. Read more here. Fortunately, we can reverse many of these negative impacts to the environment by removing the blockage created by the road, attempting to restore the creek back to its original state. 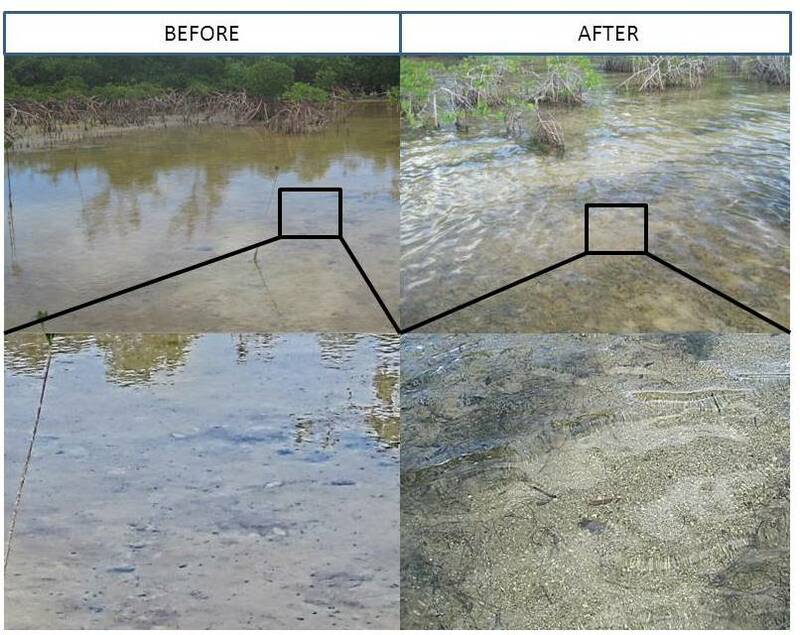 In October 2010, Dr. Craig Layman’s lab from Florida International University and Friends of the Environment teamed up again to restore Broad Creek near Camp Abaco, just south of Marsh Harbour. Culverts were installed under part of the road to once again allow the flow of water to the blocked portion of the creek. Hundreds of students and community members came out to aid in the restoration and reformation of the historical creek channel. Changes in sediment following restoration. Before the blocked portion of Broad Creek was dominated by mud and cyanobacterial mats. Following restoration there is more sandy/shelly sediment. Before restoration, the blocked side of the creek was dominated by cyanobacterial mats, with few fish species able to survive. One year after the restoration, we have seen many promising improvements to the habitat. First, the amount of muddy sediment and cyanobacterial mats on the blocked side has been greatly reduced. The sediment upstream is more sandy/shelly due to the increased water flow. Additionally, there is increased cover of seagrass (Halodule wrightii) and macroalge (e.g., Batohpora oerstedi) when compared to before the restoration. Juveniles of many fish species have been observed upstream and throughout the reopened channel including: cubera snapper, gray snapper, schoolmaster snapper, mojarra, checkered puffer and sergeant majors. With time, we expect even more improvements and will continue to monitor and provide updates on the status of Broad Creek. Juvenile gray snapper swimming around macroalgae in the previously blocked portion of Broad Creek.